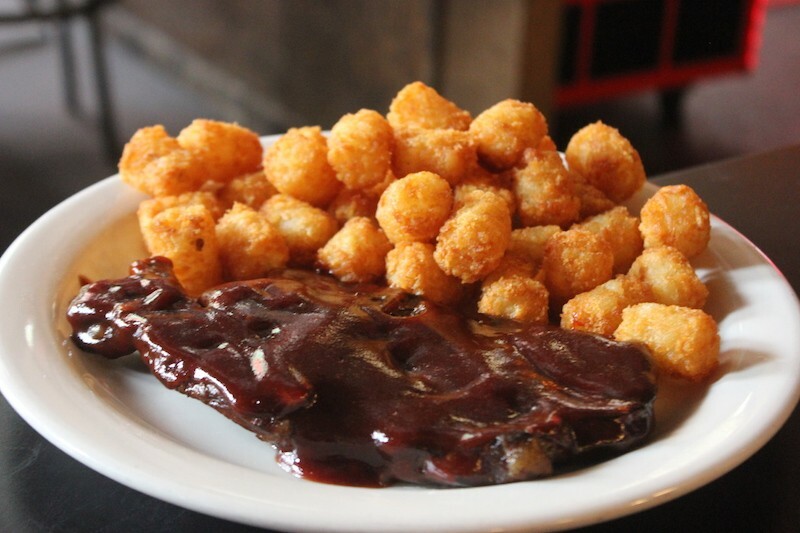 Pork steak can be served with fries or tots. 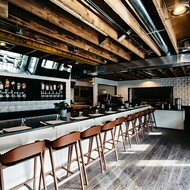 The St. Louis-themed restaurant, if not exactly a trend, has certainly become an idea in recent years. On the edge of downtown, Alumni Saint Louis offered toasted ravioli and gooey butter cake until closing a few weeks ago. And in Des Peres, Circa STL combines all the classic local foods (Mayfair dressing, Famous-Barr's French onion soup) with veritable display cases full of local memorabilia. 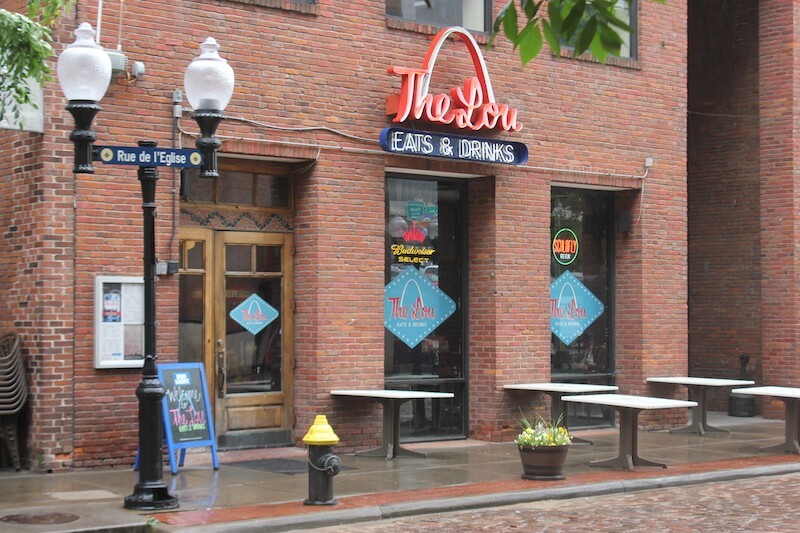 While those both have their fans, the Lou Eats & Drinks (710 N. 2nd Street, 314-621-9570) may make the most sense as a concept. Here is a St. Louis-themed restaurant in the part of town most likely to attract tourists: Laclede's Landing. Yeah, yeah, the appeal of St. Paul sandwiches and pork steaks is partly nostalgic, but what's the point of preaching to the choir? Here's a missionary out proselytizing in a place where most diners have likely never heard of Provel (gasp!). Indeed, owner Paula Zingrich says the restaurant gets so many tourists — and, believe it or not, those people are so surprised by some of our local foodstuffs — that she's included a short glossary on the back of the menu. But don't even think about letting your snob flag fly around this St. Louis native. The proud Lindbergh High School graduate, class of 1990, will defend Provel to anyone who will listen. "I think it's amazing," she says. "I call it a designer cheese!" The restaurant is in the heart of the Landing. The way Zingrich tells it, she got into ownership almost as a fluke. After years at Union Station's Hard Rock Cafe, she started working for the Gianino family, which, in addition to the restaurant of the same name, owns Joey B's and Billy G's, among others. Unbeknownst to many St. Louisans, the restaurant group also owned a bar in Bevo Mill called Pepper's Grill & Bar. Recognizing it was an odd fit in the family's portfolio, Zingrich told them, "You don't need this one. Let me buy it from you." She was as shocked as anyone when they seemed interested. Initially, Zingrich continued to run the eatery as a Joey B's, but last October, she quietly switched over to her new concept. She's been operating as the Lou ever since, serving up St. Louis-themed food to out-of-towners even as most locals have no idea she's there. And that's fine by her. "People don't know about St. Louis foods," she says. "We've got pork steaks, toasted ravioli. We've got one dessert: gooey butter cake. We want to give families something fun and different." 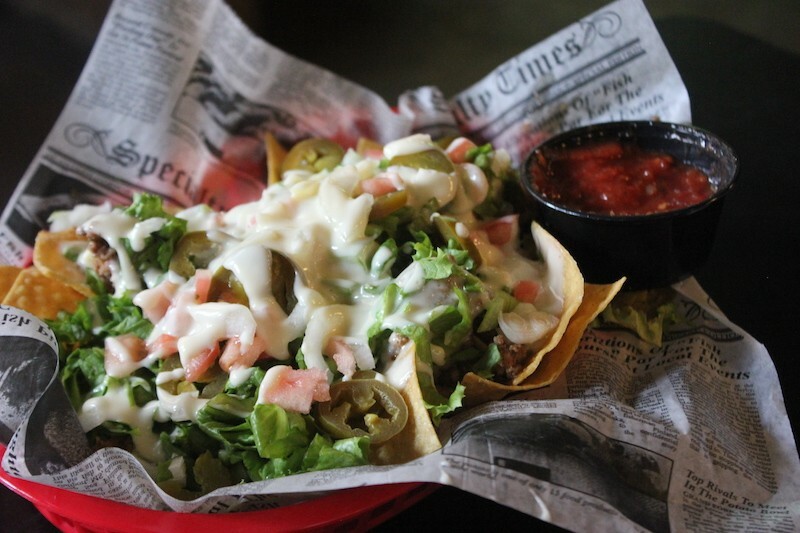 Nachos are not St. Louis-themed, but still tasty. The accent is indeed on families — while the Landing used to be a wild spot known for its early-morning party scene, Zingrich is convinced that's not where things are headed. 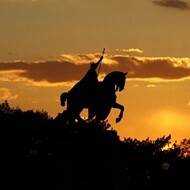 Now that CityArchRiver renovations have connected the historic neighborhood to the Gateway Arch, she says she's seeing many visitors who are simply looking for a bite to eat. "I've got four children, I take them out," she says. "As the Landing rebuilds and comes back, I want to see it as a family-friendly area." There may be a long roster of exotic shots over the bar, but that's a holdover from Joey's B's, she says, not a sign of where things are going. "After 10 or 11, things change a little bit," she acknowledges. But until then, Zingrich is mostly interested in introducing visitors to the marvels of the pork steak — or maybe even a pizza topped with garlic butter, ham, Provel and paprika, a Gerber sandwich in pie form. And if you're not into shots, how about a Whistle Stop Vess? 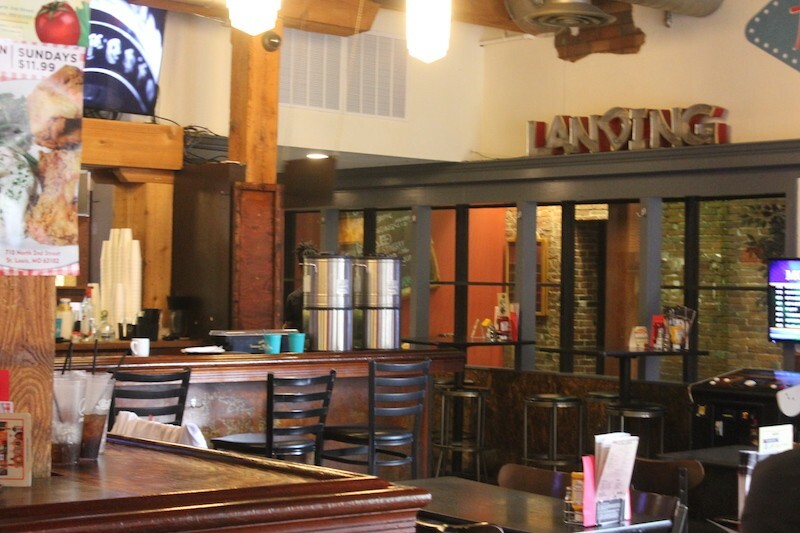 The Lou is open Monday through Sunday from 11 a.m. to 2:30 a.m. Karaoke is on the agenda Mondays and Fridays. The narrow front room includes a big bar; in the back is a big space with a pool table and other entertainments.